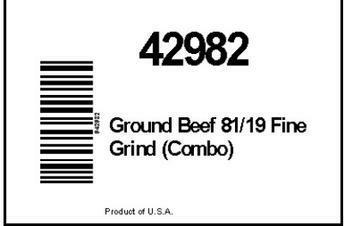 Swift Beef Co., of Hyrum, Utah, is recalling approximately 99,260 pounds of raw non-intact ground beef. The products may be contaminated with E. coli O157:H7. The recalled products, bearing establishment number “EST. 628” inside the USDA mark of inspection, were shipped to retail distributors for further processing and food service distributors for institutional use in California, Nevada, Oregon, Utah and Washington. Consumers with questions may call the JBS USA consumer hotline at (800) 727-2333.